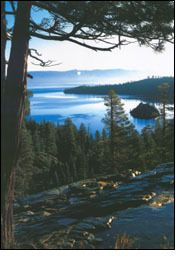 How many times have you thought about living near Lake Tahoe and having your business nearby? Add to this a dozen world-class ski resorts and over twenty mountain and pine-covered golf courses within an hour's drive (when was the last time you played without calling ahead for a tee time?). 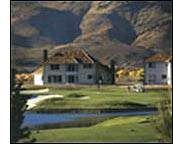 Live on a nearby Arnold Palmer or Jack Nicklaus designed golf course. We have affordable industrial and residential real estate. You can buy the best local industrial land for under $200,000./acre. New starter homes are around $200,000, and you can live on a nearby golf courses too. You and your employees will wonder why you didn't move sooner. I have business parks with protective CC & R's and design review and I have industrial parks where all you have to do is comply with county or state codes. We have great building financing with as little as 10% down, or how about below-prime loan rates? Choose from an abundant, English-speaking labor pool available at labor, workers' comp. and unemployment rates that may be lower than you are paying now. Save money too on regulated power and natural gas (Nevada generates 50% of its own power). Nevada's regulatory practices are a breeze compared to California's. Would you believe that you could drive over to see me tomorrow, find an industrial lot and have your own new building designed, built and occupancy-ready in just 6 or 8 months? It's true. 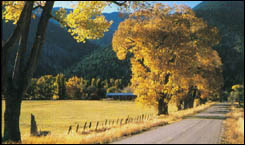 GCbroker is in the business of making it easy to move your business and your families to Northern Nevada. My name is Gary Cook, and I moved to northern Nevada with my family in 1982. In 1984, I began working with businesses from out of the area who wanted to expand or relocate their operations to this area. Since then, through my company GCbroker, Inc., I have had the pleasure of moving many dozens of companies and their families into Northern Nevada. It's easier and faster than you might think - and I'll be there every step of the way to help make your move successful. My specialty is commercial and industrial land and buildings, and if you'll travel through this web site and see my projects and properties, I think you'll see why so many businesses have relocated or expanded to this area. Please take a minute to fill out our feedback form.